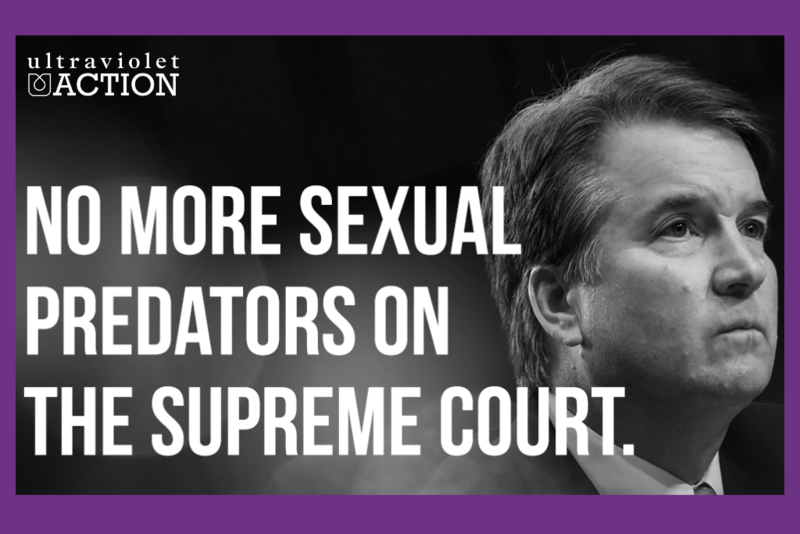 "A sexual predator does not belong on the Supreme Court. Publicly oppose Brett Kavanaugh's nomination and stop the vote on his confirmation." This is huge news. Yesterday, Christine Blasey Ford came forward publicly about her experience of being sexually assaulted by Brett Kavanaugh, Trump’s Supreme Court nominee. Thanks to her bravery, we now know that Kavanaugh, in addition to being a political danger to women, is a sexual predator. Ford’s story is horrifying. During a party in high school, she described how Kavanaugh pinned her to a bed, tried to pull off her clothing, and covered her mouth as she tried to scream. Kavanaugh's nomination was already on the rocks before Ford came forward with her story. But now, the outcry over Ford's allegations is putting pressure on every senator to come out against Kavanaugh. In just 24 hours following the release of Ford's story, Republican Senators Jeff Flake and Bob Corker have joined Democrats in calling for Kavanaugh's nomination to be delayed. If every Democrat and just a few Republicans come out against Kavanaugh's nomination, we have a real chance to stop this man from a lifetime nomination to the Supreme Court. Send the Senate a clear message: Brett Kavanaugh has no place on the Supreme Court of the United States. We only have a few days to stop him.